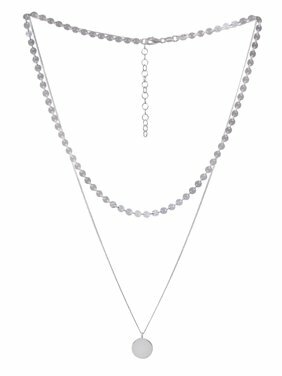 Product TitleSterling Silver Puffed Heart Pendant Necklace on Cable Chain, 18"
Product TitleMiabella 1 Carat T.G.W. 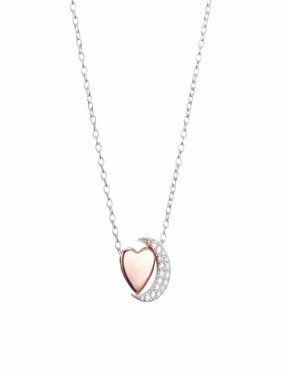 White Topaz Rose-Plated Sterling Silver Heart Locket Pendant, 18"
Product TitleMiabella Diamond-Accent Sterling Silver Clover Heart Pendant, 18"
Product TitleSterling Silver Hollow Rope Chain Necklace 18"
Product TitleMiabella 1-1/7 Carat T.G.W. Created White Sapphire Sterling Silver Open Heart Pendant, 17"